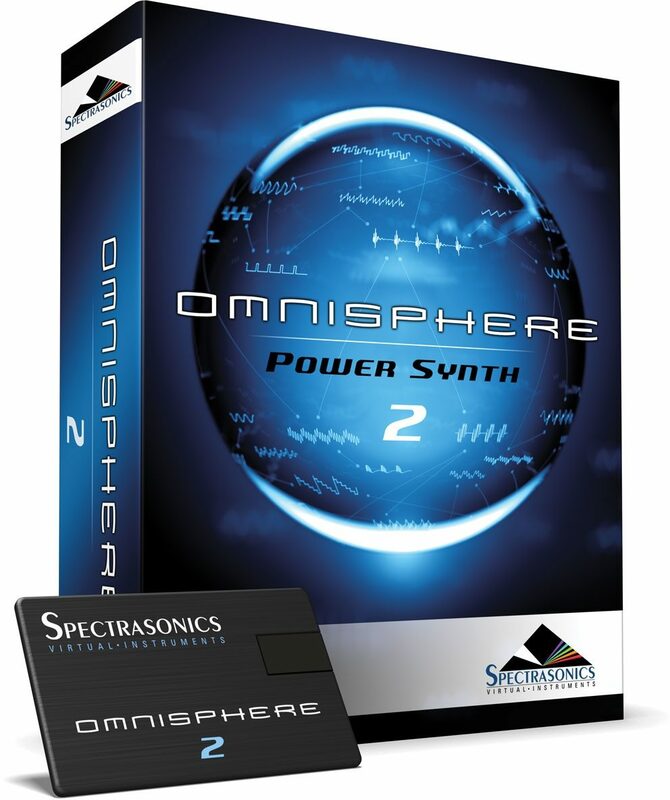 Omnisphere is the flagship synthesizer of Spectrasonics -- an instrument of extraordinary power and versatility. 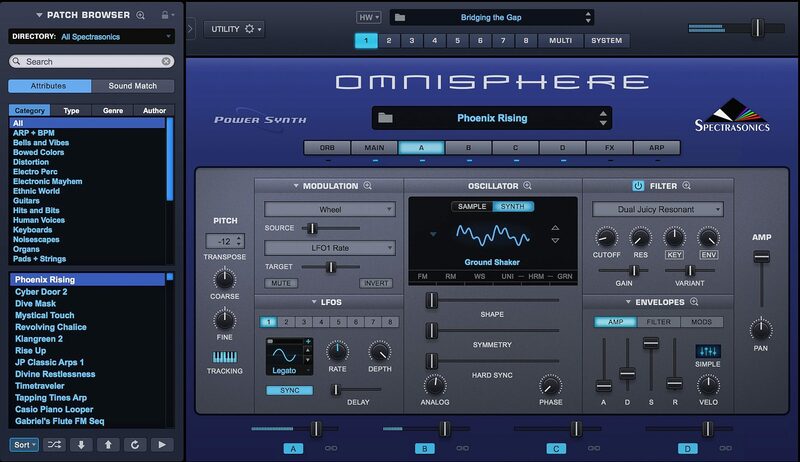 Top Artists all over the world rely on Omnisphere as an essential source of sonic inspiration. This award-winning software brings many different types of synthesis together into one amazing-sounding instrument that will spark a lifetime of exploration. 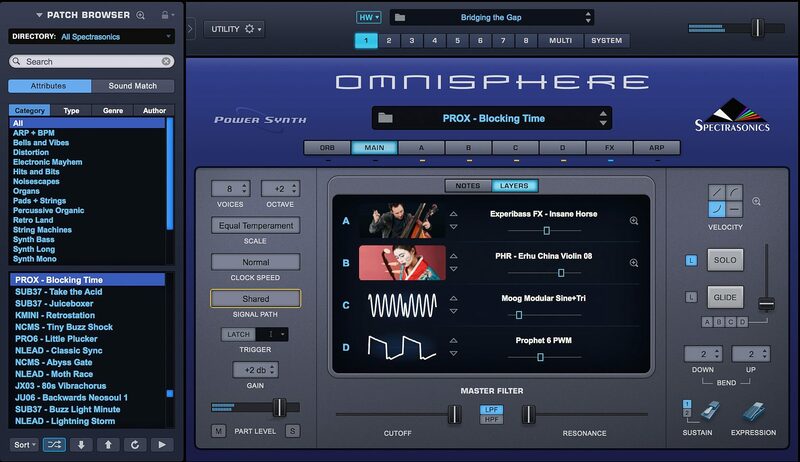 Omnisphere is the only software synth in the world to offer a Hardware Synth Integration feature. This remarkable innovation transforms over 65 well-known hardware synthesizers into extensive hands-on controllers that unlock Omnisphere's newly expanded synthesis capabilities. 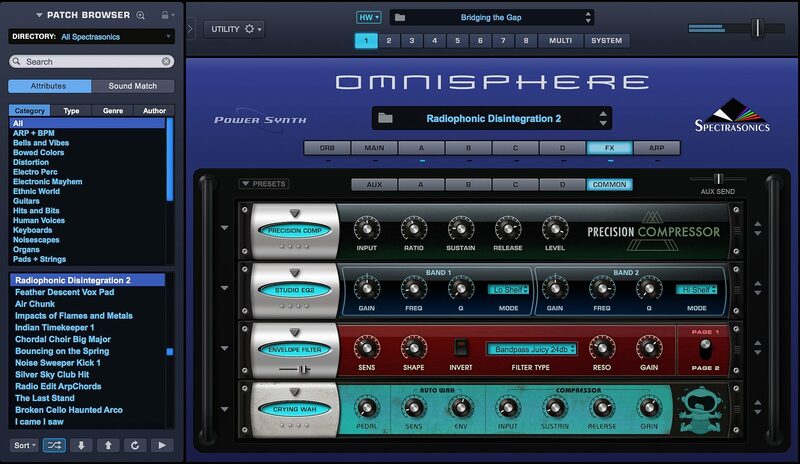 Simply put, this ground-breaking feature makes using Omnisphere feel just like using a hardware synth! By bridging the physical experience gap between software and hardware, users gain intuitive control of Omnisphere by using the familiar layout of their supported hardware synth. 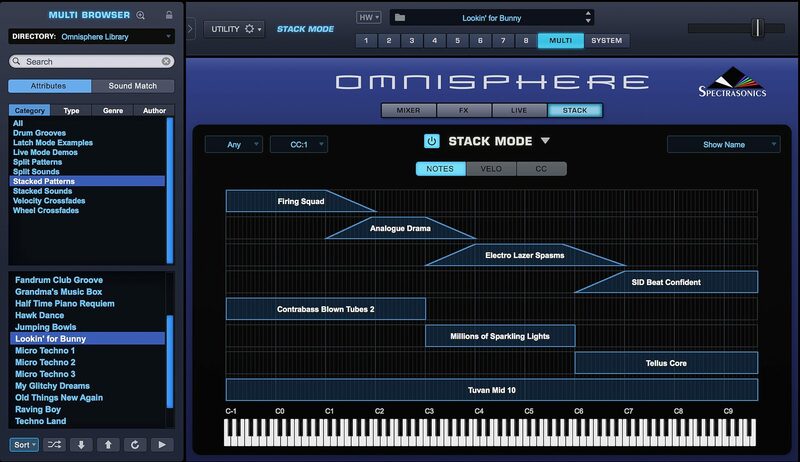 Virtual instrument users can now experience the joy of the hardware synth workflow and hardware synth users can fully expand their capabilities into the vast sonic world of Omnisphere! Many hardware synths include arpeggiators. An arpeggiator receives incoming MIDI notes, and outputs a sequenced pattern of notes based on a defined set of rules (such as arpeggios). Similar in concept to a step sequencer, an arpeggiator has a number of differences that set it apart. Like a step sequencer, an arpeggiator allows you to create a pattern, but it also interacts directly with the chords and intervals that you play from the keyboard. Omnisphere's Arpeggiator has multiple Note Patterns, Play Modes, Functions, Latch, Step Modifiers, Trigger Types, Clock Rates, a variable-length 32-step Pattern Programmer, Factory and User Presets, and a super-useful MIDI Capture feature. Omnisphere's Arpeggiator also features the innovative Groove Lock feature that synchronizes the Arpeggiator with Stylus RMX grooves (or any standard MIDI file). 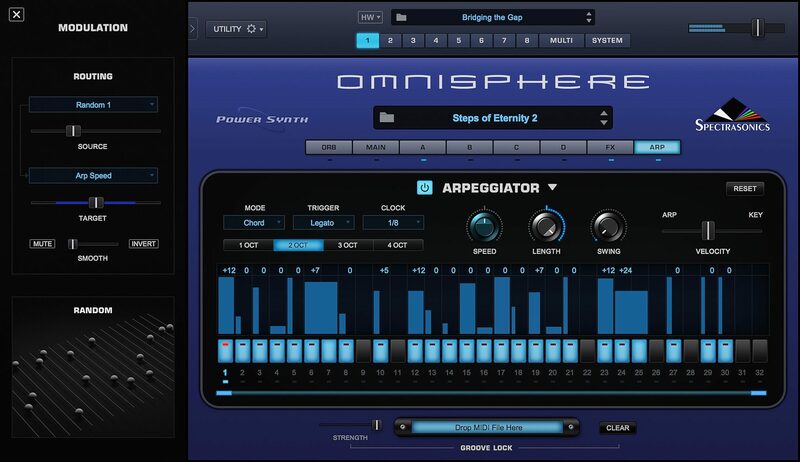 Each Part in Omnisphere can have its own Arpeggiator, each with its own unique pattern settings. This means that up to eight arpeggiators can be running simultaneously, which is especially powerful when using STACK and LIVE Modes. There are many presets available to help get you started exploring the Arpeggiator's capabilities. Select different presets to hear the kinds of patterns that can be created. Patterns that you create or modify can be saved as presets for later use. 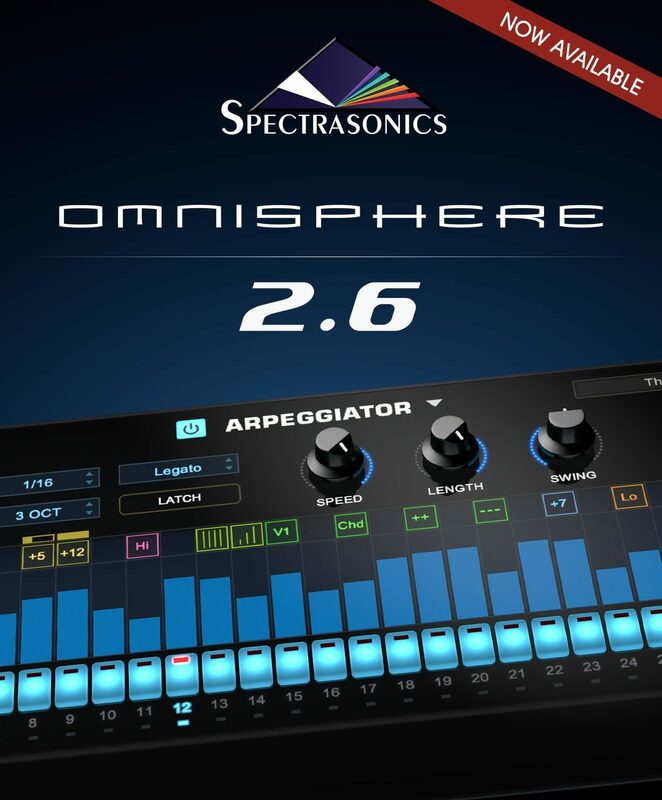 Omnisphere 2.6 includes a stunning new "Hardware Library" with over 1,600 new patches created by Eric Persing and the renowned Spectrasonics Sound Development team. Each hardware profile has a corresponding set of sounds in the Hardware Library which were specially designed using that hardware synth as an Omnisphere controller. These inspiring new sounds feature a wide range of categories and many have a distinctly 'classic' flavor! Notably, the 2.6 update takes Eric's classic sound design work from the original 1987 Roland D-50 into completely new sonic territory with Omnisphere's vast synthesis capabilities. Best of all, the new sounds are available for ALL users, regardless of using the hardware or not! 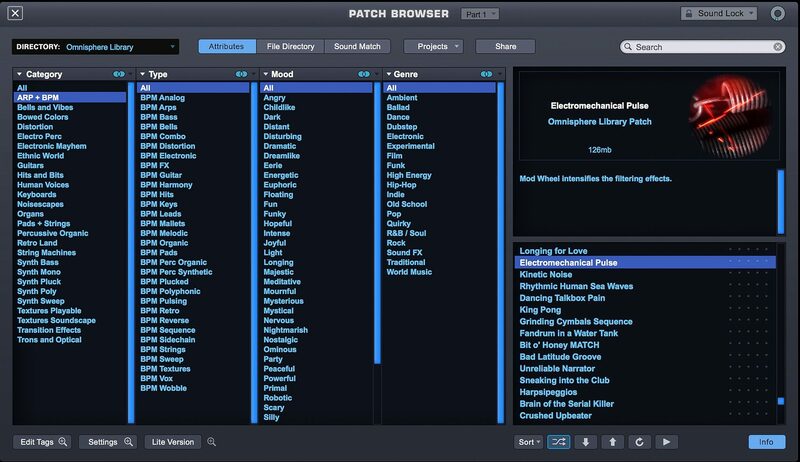 - Four Layers per patch! 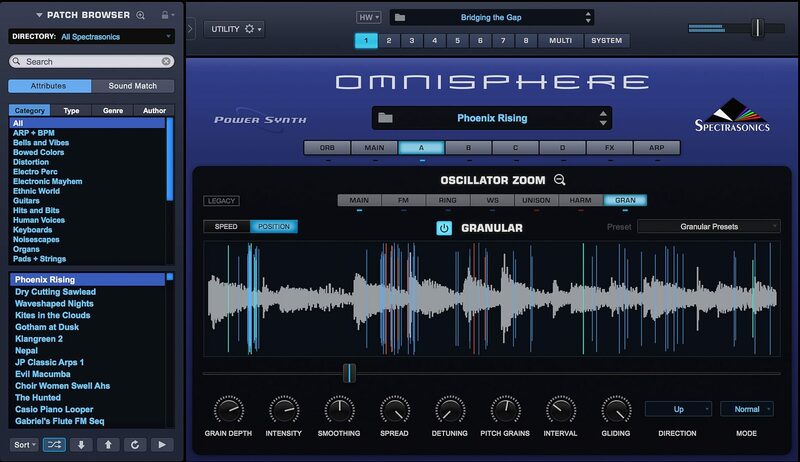 You can use your own audio file as a soundsource in Omnisphere, simply by dragging it onto the interface! 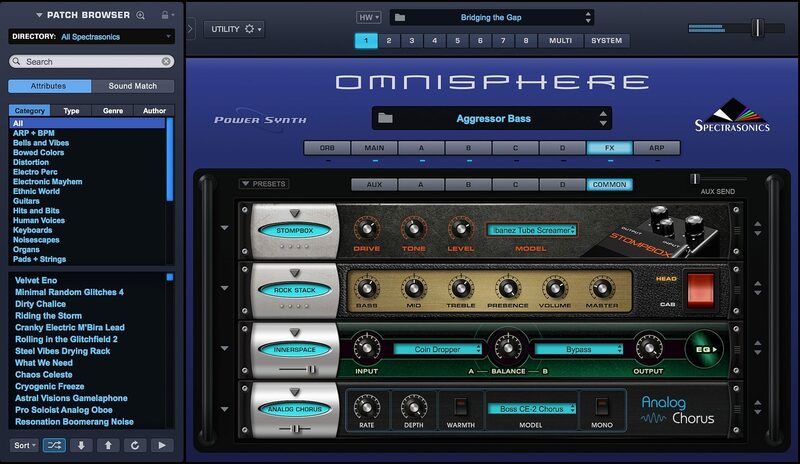 Go wild with using the new Granular Synthesis, Harmonia, Innerspace and many other creative tools inside Omnisphere! Omnishere 2.6 supports a newly redesigned, high-resolution interface with support for HiDPI displays. The modernized GUI is now easier to use and resizable to fit comfortably into your workspace. Since the beginning, Omnisphere has been the sonic weapon of choice for creative players and producers in search of next level sounds on hit records, bestselling games and Oscar-winning films. 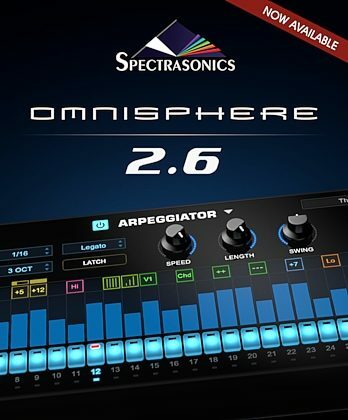 Omnisphere's amazing sound library is constantly growing and being pushed in fresh directions by the award-winning Spectrasonics Sound Development Team. - Standalone Application now included! zZounds is an authorized dealer of Spectrasonics products.